A complete free Rocket League Crate Opening Simulator has launched on RocketPrices.Com, which allows you to open unlimited Rocket League Crates like you do in the game, without paying any real money or key! In Rocket League, you can get special item drops - Crates, which you can open to get exclusive bodies, decals, goal explosions, rocket boosts, trails, and wheels. These Crates contain a unique "series" of items which are classified as Rare, Very Rare, Import, Exotic, and Black Market. 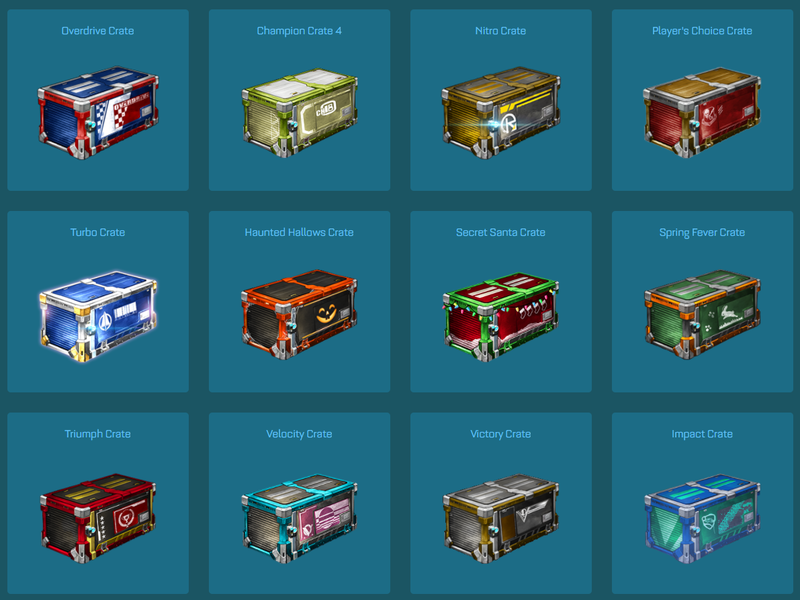 But to open these Crates, you need to have Rocket League keys, which you can buy in-game or from RocketPrices.Com at favorable prices. There are different drop rates for each tier, higher tier gets lower drops. However, the Opening crates is kind of fun and provides a sensational feeling for the possibility that you'll get something super rare like a black market decal or painted exotic wheels. 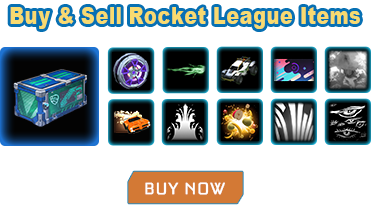 What is Rocket League Crate Simulator on RocketPrices.Com? It is a stimulating game in which you unlock Rocket League crates and gain items of different rarities that you can collect. You can open Impact, Victory, Player's Choice, all Champions Crates and all available crates from PC or your phone! New crates will be added to the RL Crates Opening Simulator on time in the future! Why Should You Play Our RL Crate Simulator? Complete Free To Play - We built the Rocket League Crate Opener only in order to bring more fun for our customers and all Rocket League players, not for making any profit, so it is complete free to all of you for all time, no need to pay a single dollar or Rocket League key! Unlimited Crates To Open - You can open as many crates as you want, you can see how many black market decals you can get from 10 crates. It means no quantity limited to open any type of crates here! Real Crate Simulating Game To Play - Simulates item drops from a Crate based on their actual probability from the game Rocket League by Psyonix, ensure you get a real experience like opening crates in game. How To Play Our RL Crate Open Simulator? 3. Click OPEN CRATE to start opening the crate, the items you get will be listed on the lower right corner, you can open as many as you want. Click SELECT CRATE go back to choose other crates. 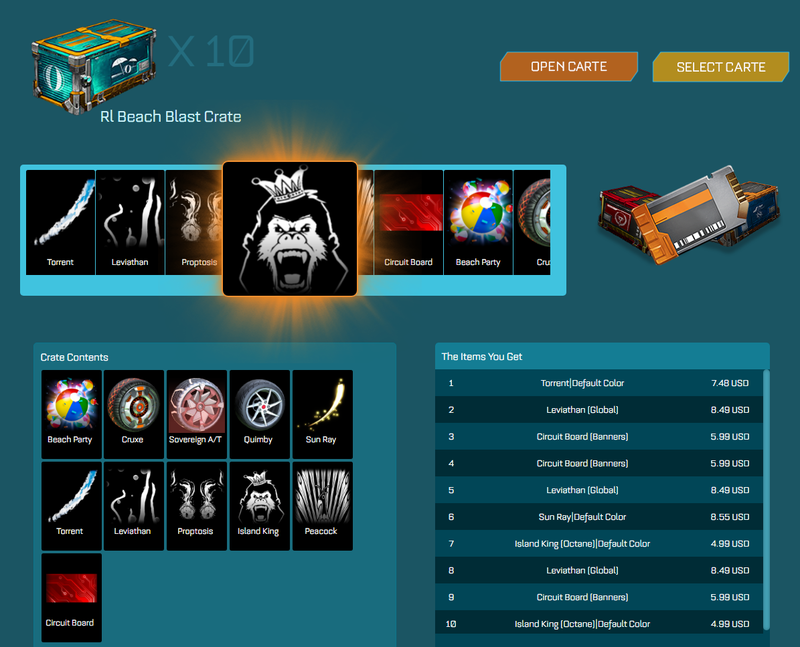 Now play our RL Crate Simulator and try your luck on opening crates without spending a single dollar now and key! If you are looking for any cheap Rocket League crates and items, don’t forget to check out our offers.